Welcome to our new blog. We will aim to update this regularly, monthly is our goal, but this may vary as sometimes we are super busy with lots of interesting (we think anyway) things happening. But other times, we are very dull and doubt you will want to read that the highlight of our week was buying a new toaster. Please scroll down to see the latest posts. Thoroughly enjoyed the Orkney Nature Festival cruise on Sunday 21st May. It was great to see some of our fabulous and dramatic coastline from the sea. 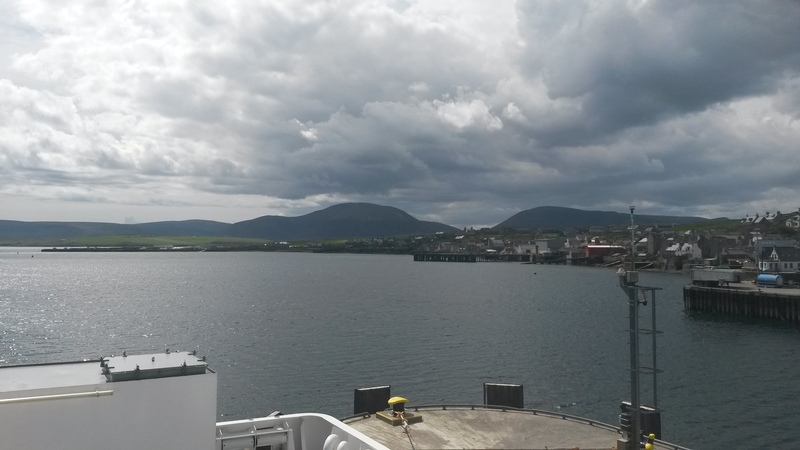 This year's cruise sailed from Stromness, then out past Skaill, Marwick Head and Yesnaby. Spotted some harbour porpoise, Rizzo dolphin, puffins, guillemots and a myriad of other birds. Sadly, the Orcas decided to stay on our home waters in South Walls near the Cantick Sound. The cruise was for 3 hours on the Hamnavoe. Commentary about the wildlife and some historical and cultural aspects of Orkney was given over the tannoy. There were loads of RSPB personnel who were happy to talk about what was around. A wonderful buffet lunch of Orkney produce was also provided including a bottle of delicious Concrake. I had been wondering what all the fuss about gin has been about. 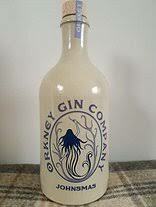 The Orkney Gin Company were on board promoting their Johnsman and Mickelmas gins. I enjoyed a sample or three! Absolutely lovely! The children received a free information pack and a pair of pop up binoculars. This was all for the great value price of £15 for adults and £10 for children. If you are planning to be in Orkney this time next year, I would throughly recommend this trip. Hello followers old and new. It's been a quiet few months as far as guests are concerned but we are well on the way to having a full quota of guests over the summer. So it's been a busy time on the administrative front just in case you thought we were slacking! Spring has definitely come to Hoy. 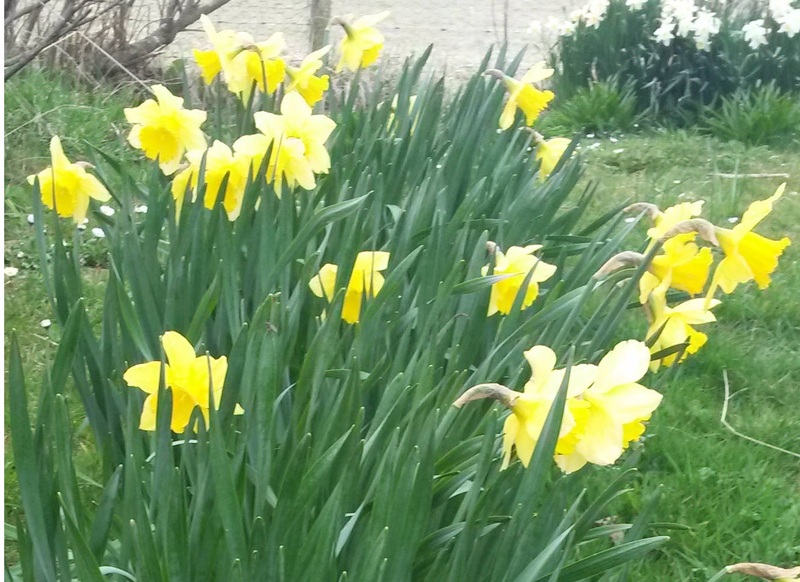 The days are long, the grass verges are full of daffodils and there are peedie (small) lambs wobbling about in the fields. The cafes and museums are open and everyone has just a bit more spring in their step. It is a lovely, lovely time to be on the island. There are no big changes planned for Old Hall this summer. The cottage has had its usually spruce up with fresh paint. There is a new wet room floor which looks very smart and we've replaced the dodgy old cooker hood so you can have fry ups a plenty without having to wear eau de oeufs au bacon all day! Tom has been getting the vegetable garden ready and new seedlings are poking their heads out already. We look forward to welcoming back our regular guests and new ones too over the coming months. We still have a few spaces left but please book early to avoid disappointment. Well panto season is well and truly upon us and yes, we have one here on Hoy too. Oh no you don’t…. oh yes we do… oh no….. Well yes indeed we do which comes as a great surprise to most people. This is one of the must see events of the year on Hoy. It is pure delight to see just how the small but devoted members of HAWEG (Hoy and Walls Entertainment Group) manages to put on such a splendid show each year. Everything is done by the locals – script writing, directing, acting, music, lighting, scenary, costumes and make-up, at the wonderful Gable End Theatre. This year’s panto production was called The Princess and The Peacock written by local, Lyndsey Hall. I arrived at the theatre half an hour before curtains up. The bar was already buzzing and a good business in cocktails was in hand. The obligatory raffle tickets were purchased which is where a huge amount of funding to keep the theatre open comes from. The panto had all of the essential ingredients with a distinctly feathery appeal; heroes - a revolutionary robin named Red and sidekick Hercule Parrot with an aptitude for hilariouly misquoting it’s owner, villains (Infamouse Grouse and the evidently Gestapo trained Pidgeon), fools, flying human cunningly disguised as Albert Ross, a love interest (Jock Sparrow), a rather gullible Emporor Penguin and of course a beautiful princess and her elaborate peacock demonstrating amazing sign language skills. There were some great songs (I will be humming “Poisoning Pidgeons in the Park” for a few weeks yet!) and torpedoed sweets and chocolates from which I did suffer from mild concussion I believe. It was a belly laugh from start to finish. The costumes themselves had me doubled over – the Infamous Grouse‘s cotton mop-head tail, Emporor Penguin’s conveiently placed sprig and Hercule Parrots rubber gloved feet particularly made me chuckle. At the interval, we were provied with lovely nibbles provided by Emily Smith from Wild Heather Crafts who has recently opened a winter parlour and the raffle caller was dutifully booed for not calling out the “right” numbers. 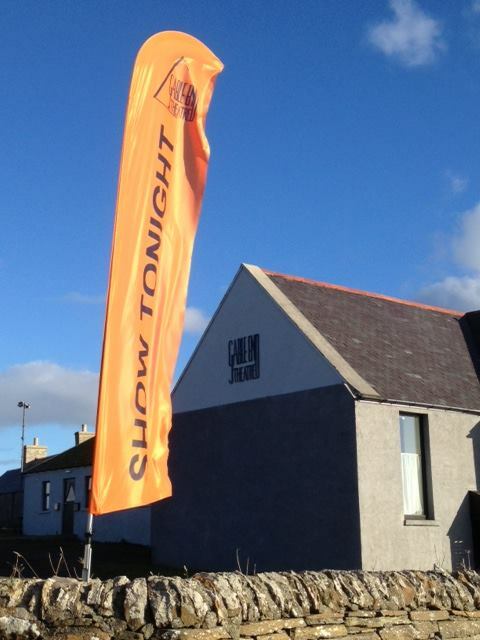 If you are passing by, look out bright orange banner indicating that there will be a show that evening, usually starting at 8pm. We wish all of our readers and guests (past and future) a very Merry Christmas! Well we are at the end of November and entering my favourite part of the year. Whilst the flowers have all died and the leaves have gone, the colours are all above. The sunsets and sunrises at this time of year are always spectacular and with shorter days, you generally get to see both without suffering a burn out. 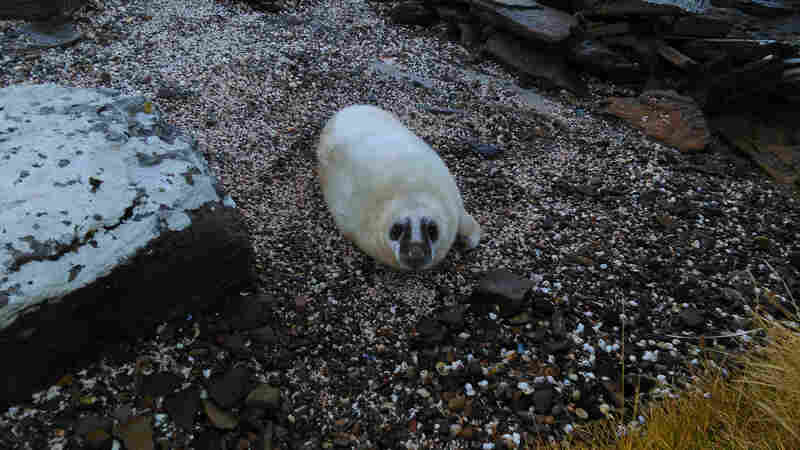 The highlight, however, for residents and visitors to Hoy alike at this time of year is that the bays near toThe Birsi Geo become a temporary nursery for the lovely, fluffy white seal pups. My walk a couple of weeks ago took me from the Hill of White Hamars car park and along the shore heading west. Before I even got to the geo* I could hear the deep, low groans of the pregnant seals in the throes of labour. 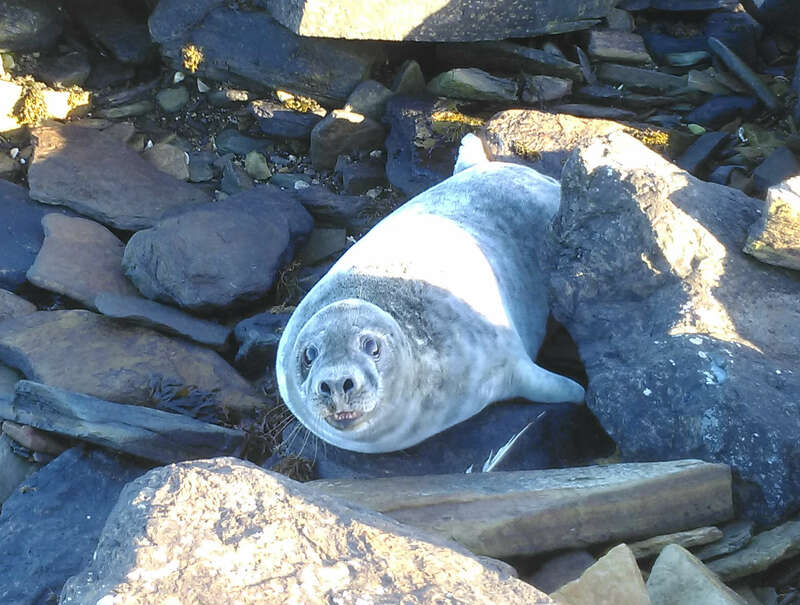 Sure enough as I peered down on the shore, there were a dozen or more enormously fat seals waiting to deliver and six new pups with their satisfied but nervy mums. I settled down onto a ledge to watch quietly and the seals gradually got bored of me and stopped fidgeting. I then noticed that one of the ones in the labour ward part of the beach was thrashing around and making an horrific noise. I was totally enthralled as the little white furry seal pup slithered out onto the pebbles. I was quite surprised that the exhausted mum abaondoned junior for a good half an hour which made me think that the pup was maybe dead. I sat transfixed hoping and wishing the little one would move or mum would go and do something to let it know it was loved and wanted. Eventually mum did return and start giving some attention to the little wet blob. A week later, I went back to check on progress. Little wet blob had almost doubled in size and was lying contentedly alongside mum who was idly scratching the pup that was apparently squirming with pleasure. Another place to see seal pups is on the Cantick Beach. This is where I found this little beauty a week ago – almost fell over him. Today, I found him with his fur now all loved off and getting ready to enter the water and begin the journey to the icy north. (The pups need to treble in size before they are ready for their watery adventure.) Rather than watching me with fascinated curiosity, as he had last week, he barked and bared his teeth - “Look mum, I’m all grown up.” - I got my photo and slowly backed away. 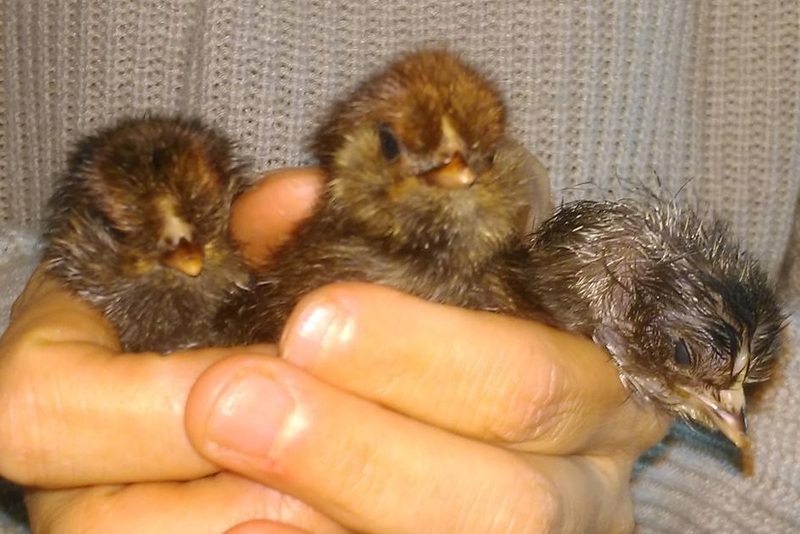 Well as promised (threatened) here is our second blog. It is a little later than planned due to an interupted internet service, but we are back online and can contact the outside world again! 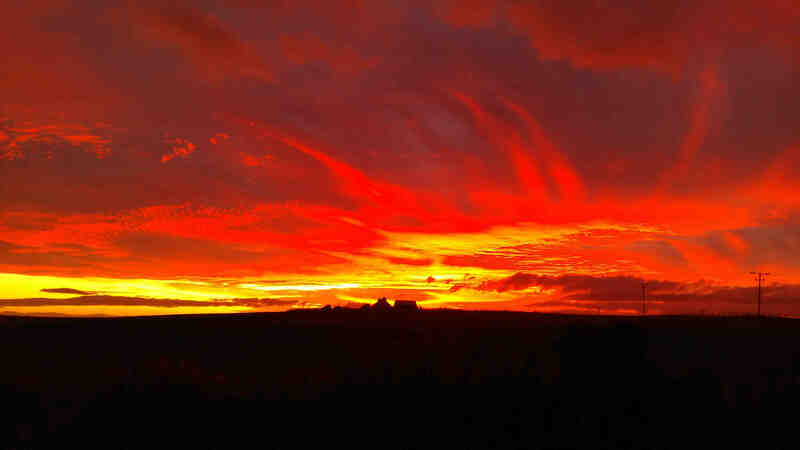 You can’t really talk about Orkney without talking about the weather. Folk here are obsessed with it and I guess I am too. None of these statements really acurately reflects the reality of Orkney weather. The most common greeting is: “Whit like? No bad day the day” which is a pretty non committal statement advertising that it could be better and it could be worse. That pretty much sums up Orkney’s weather. As we begin October we have been blessed with bright sunny days, a few brisk winds and some bonus flat calm days (midge free). 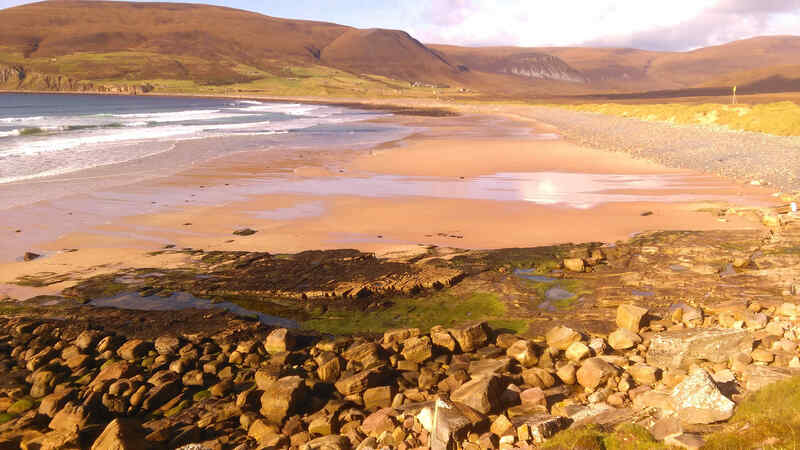 The first weekend in October saw us walking the Rackwick Glen followed by a picnic and games on the beach in tee-shirts and shorts. Some body boarders were also taking advantage of the beautiful day. 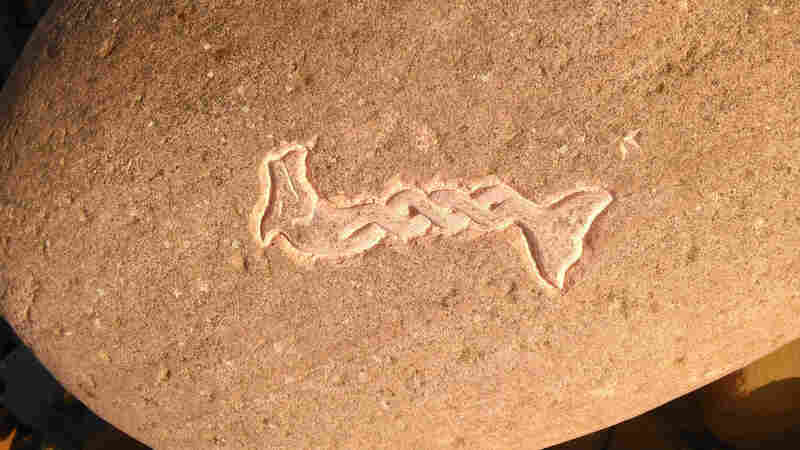 Some unidentified skilled artist had carved this into a large rock. It was a nice treat to find, so a thank you if the artist ever reads this. So that we are not accused of pulling the wool over our prospective guests eyes, this was preceeded a few days earlier by a boat-stopping, school-closing, eye watering gale. I (Sandra) am perhaps a little unusual because I actually love the gales and the storms. The raw power of nature thrills me. I love that man is rendered a little less in charge. The roar of the sea is immense. The crashing waves on the shore and the spray are breathakingly beautiful. I love that our 200 plus year old stone built house stands solid in defiance, keeping us snug and warm. I also love the post storm smell and the crystal clear air as though the earth has been freshly laundered and the softness as the sea reverts back to it’s rhythmic lapping. The horizontal rain I maybe could pass on but you’ve gotta take the rough with the smooth I guess. Autumn is special to me because of the incredible amount of vivid rainbows that occur at this time. As a longtime admirer of rainbows anyway, I find it just magical. I’m told that the frequency and vivacity is due to our 58.8 degrees north position and something to do with angles and refraction. I like to think that it’s because God decided to cram as much beauty as possible into a single part of the world. We are so very very blessed - even with the horizontal rain. As I write this, my thoughts and prayers go out to those people whose lives have been affected by Hurricane Matthew. I am deeply humbled. After a surprisingly barmy week, we decided to do some autumny stuff anyway and harvested some of our abundant rosehips. Rosa Rigosa grows everywhere in Orkney and is more than prolific. The prickly little blighter produces beautiful flowers and luckily, this year, the flowers managed to stay on for more than the usual two weeks as we have had no wind. The harvested rosehips have been made into cordial, rich in vitamin C to bolster us through the winter. Some more will be harvested to make apple and rosehip jam. Some of our guests may be fortunate unfortunate enough to get a pot in their welcome pack. I just know that the Old Hall inbox is now going to be flooded with booking requests!!! Well that's it for now. We will be back soon with other snippets which may be mildly more interesting. Then again. Maybe not. 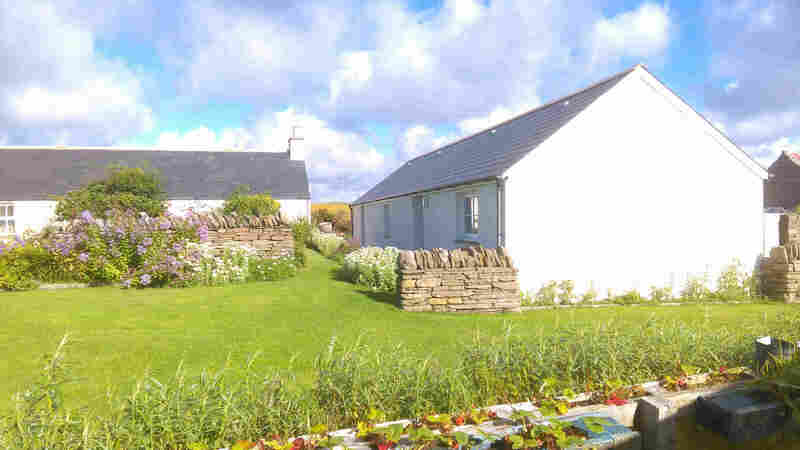 Here you will find news, updates, ramblings and shenanigans at Old Hall, on Hoy & in Orkney. Enjoy!